I never thought I would be shopping for electric fireplace log sets. With an amazing, hand-crafted stone fireplace, why would I? I mean, I should just build a real fire, right? Our stone fireplace, built by my step-great-grandfather, is definitely the focal point of our living space, and absolutely too gorgeous to not have a fire in it! In spite of all that, I did shop for electric fireplace log sets, and you can find out why by reading this post: Topping Off Big Creek. If you’re too anxious for more to click that link and read all about it, here’s the condensed version: the chimney had no damper, therefore it wasn’t safe, and we knocked it off and roofed over it. Y’all, I grieved over this decision; I truly did. My childhood memories of a crackling fire in this amazing fireplace are so precious to me. Nothing made Christmas nights more magical than a warm, cozy fire, the flames tickling the logs like playful little sprites. Unfortunately, I also remember the Christmas night that we had a chimney fire. It was terrifying! Temperatures had dipped down into the teens, and the fire department couldn’t even help us…the water on their trucks was frozen. The chimney goes right up through the upstairs bedroom, (then mine and Jimmie’s room), and flames were crawling out of the flue onto the bricks, scaring us half to death! Papa was on the roof with one fire extinguisher, and Madre was in the house with another, and they shot them at one another until they put the fire out, saving our lives, our home, and all of our new Christmas loot. When Coach and I moved here to Big Creek we didn’t even expect to have to replace the roof, but found out very quickly that we’d have to. We talked it over at great length, and decided that we’d both be too afraid to ever build a fire in that old fireplace. Instead of dealing with the cold air that made its way into the house via the wide open chimney, and dealing with the leaks that were inevitable around the flashing, we decided to have the chimney knocked off and roofed over, leaving our beautiful fireplace dysfunctional. So, that’s what we did. We let the roofers kill our fireplace dreams. I grieved again once it was done, and the bricks from the chimney were scattered all across the back yard. Not only that, but the mess it created inside was astronomical! We left the cover over it for months, not wanting to deal with it. Once we finally decided to clean it all up, I grieved some more, because it looked so beautiful with it’s freshly painted andirons and the old soot of yesteryear still on it’s brick interior. Licorice the rabbit even liked it! We intended all along to have some sort of a faux fireplace insert installed, and were leaning toward gas. Since there’s really no crawlspace under our living room, we knew the time to run the gas line would be when the floors were all pulled up. Fast forward two years….the floors got ripped out and put back without us ever giving the gas another thought! How do you forget something that important? Just how? So, we found ourselves shopping for electric fireplace log sets. I just couldn’t bear the thought of not having a fire in that fireplace ever again! We knew we wanted the most realistic electric fire we could find, and that we wanted it to put out a little bit of heat, as well. We shopped around a lot, and ultimately decided to purchase this Hampton Bay version from Home Depot (since it’s right here in town and we were too impatient to wait and have one shipped). Y’all, there are endless options!! If you have a dysfunctional fireplace and want to have the warm, cozy experience of a beautiful, crackling fire, you’re in luck! 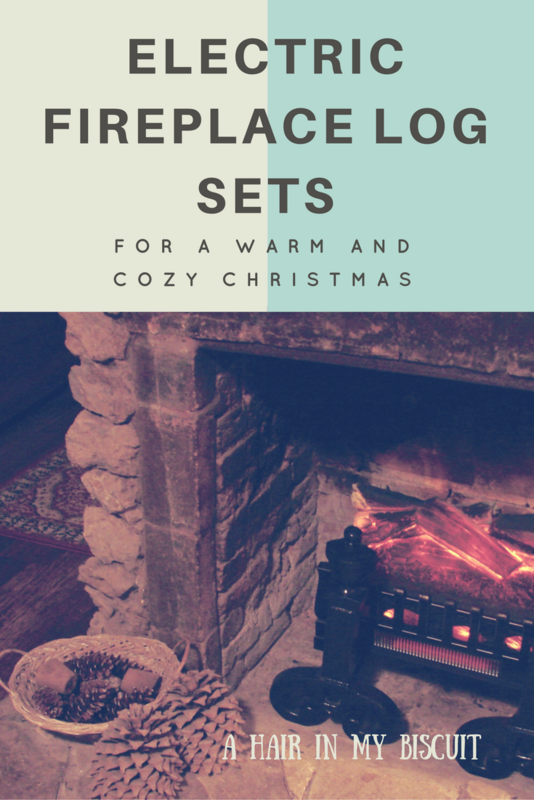 There are electric fireplace logs sets that are simply logs with no stand of any kind, and there are options that could pretty much just stand alone and don’t even require a real fireplace. You can even find electric logs inserts with or without heat, making these a great fit for people in any climate. I’ll explore some of those options now. This Comfort Glow Electric Log Set with Heater is one that is very similar to the one we purchased. My favorite features are the fact that the flames can be on without the heat option, that it has a blower for the heat option, and that it also has a remote control. I didn’t want to have to stand on my head every time I wanted to turn on our faux fireplace insert. We also wanted the most realistic electric fire we could find, and ours really delivers…this one looks to have the same type of effect with a glowing ember bed. This would be the one we would have purchased if we’d had any patience at all, but we are all very happy with the one we got. This one from Best Choice is an embedded fireplace option, and has lots of great features, as well. It has a safety cutoff device, and two heat settings. It’s a little pricier than the Comfort Glow, but it does have a remote control. You don’t have to assemble anything; just install it and start enjoying your beautiful fire! I love that both of these models have the no-heat option, so you can have the cozy ambiance of the flames any time of year! There are lots of other super options for a faux fireplace insert with heat, and you can shop them all on Amazon. I always look at the reviews, and be sure to check how large of an area it will heat before buying. If you’re looking for a simple log insert with all the appearance of a cozy fire without the heat option, you may enjoy this one from Pleasant Hearth. This is a very affordable option, as well, at under $40. You can purchase a grate front separately, but I assume it would work as-is. The logs are made from real wood for a very realistic look. It’s easy to install, and the pretty red embers will have you relaxing in no time! Can’t you just see yourself curling up in front of this with a good book and a glass of wine? Here’s another one from Comfort Glow that is for decorative purposes only, no heat. If I lived in a warm climate I would have to have one of these! I mean, people in the tropics want a cozy fireplace, too, right? I love the look of this one so much. It comes fully assembled and ready to go, and is made to fit most fireplaces. It’s at a slightly higher price point than the Pleasant Hearth one, but already has the front grate (if you’re into that). electric logs inserts make christmas more cozy! I’m so looking forward to our third Christmas here at Big Creek, and our new electric faux fireplace insert has a lot to do with that excitement! I can’t wait to hang our stockings from the mantel this year, and enjoy all of our decorations by the glow of the fire. I hope you find something you like here, as well, and can sit by your new fireplace very soon! There’s just something about a beautiful fire in the fireplace that makes Christmas more magical. As you can see, we set our faux fireplace insert on the andirons. There was no way I was going to let those go! Plus, our fireplace dips down in the front, and all the heat from our beautiful new logs was just getting trapped inside the fireplace. This way, it can blow out into the room and warm our cold toes. I really love the way it looks, even if it isn’t conventional. I’d love to see pics of your new electric fireplace log sets when you get them installed! 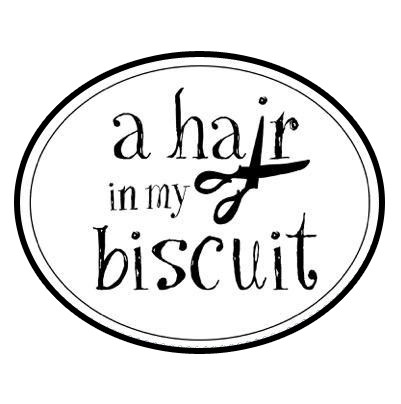 Be sure to follow me on Instagram (@ahairinmybiscuit), and when you post, use the hashtag “cozybiscuitChristmas” so I can check it out! I love to look at any fireplace, and I even love to know the history behind it. Ours certainly has a rich history, and I’m super-thankful that we can enjoy it once again with flames tickling the logs. I miss the crackling and the popping but it sure is purty. Makes me want to use mine and I don’t know how!